For only in the truth shall your soul be free of its burdens and then can you truly soar. Sometimes it takes awhile but the truth will come out in the end. I have always been a firm believer that you should be honest and truthful with people even though it might be difficult for them. Many times when I am truthful with people they say that was insensitive. But I just say back, “If you can’t handle the truth then next time don’t ask the question.” Its true, lawyers never ask a question unless they know what the answer will be. Through my many years of contract negotiations and dealing with children and people, I was taught to notice the little details of when they are lying or holding the truth from me. When I wrote this chapter I thought back to my relationship and how it ended. My experience told me that she was holding back the truth from me. Yet I saw the little details and knew the truth. I told her that I could handle the truth and I would work it out, but sadly she refused. In many ways this chapter is a vindication for many who knew the truth and had to suffer because of it. I too suffered, but writing down my thoughts helped me move on. 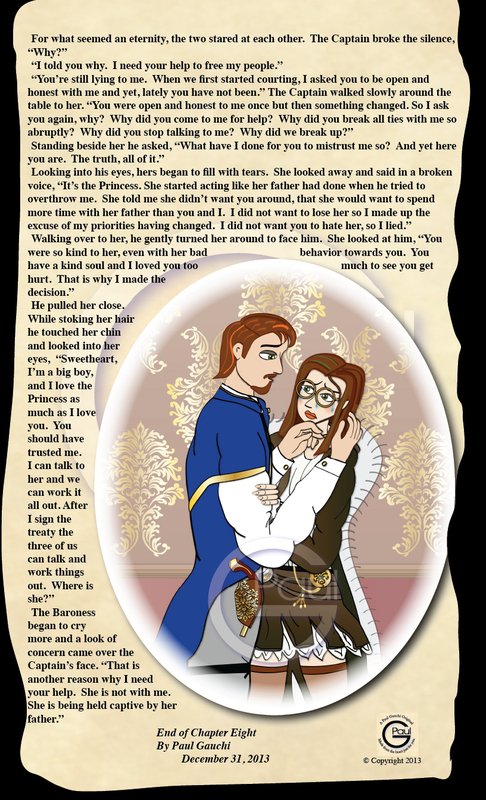 In the eighth chapter, The Truth, the Captain faces the Baroness for the first time in months, since their break up. What she has to say could be rewarding or devastating to Gauchia. 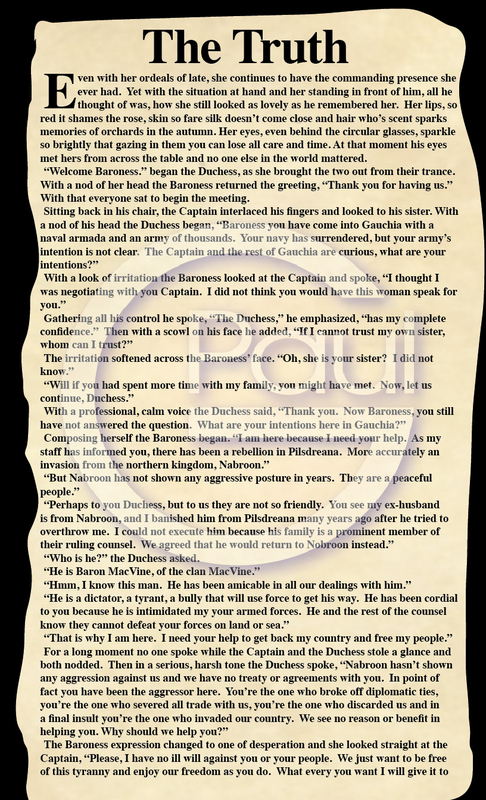 But the burning question continues to plague the Captain and many around him, why? Why is this entire nightmare happening? 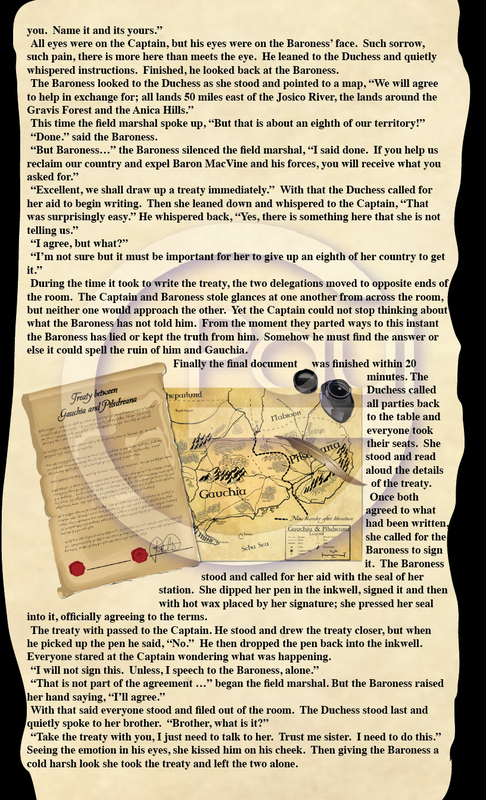 The truth finally comes out, but is it something the Captain can handle or does it lead to disaster. 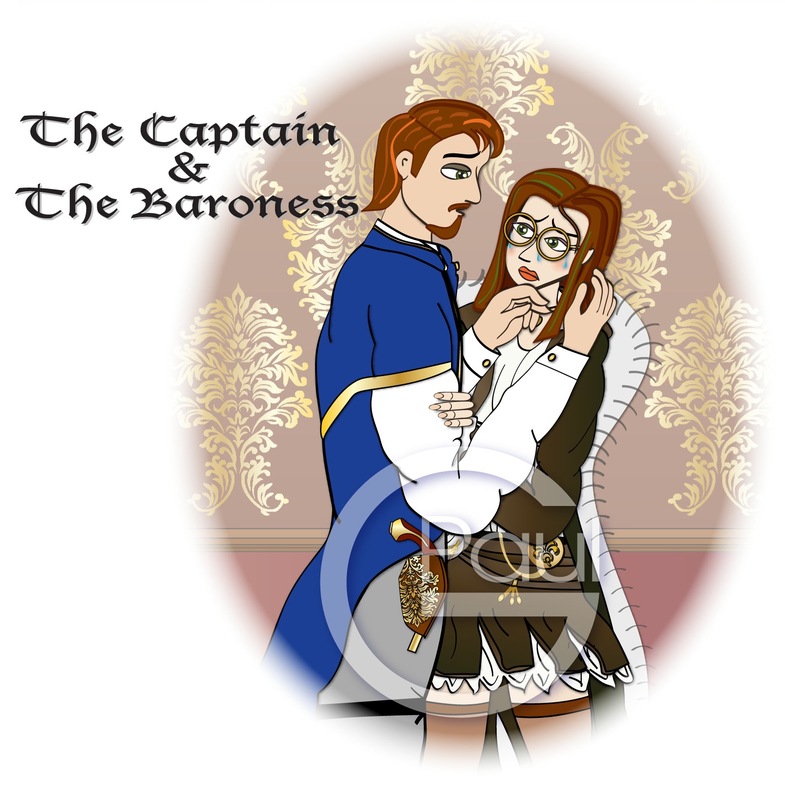 I hope you enjoy the latest chapter of The Captain and The Baroness: The Truth.